The United States: 2017 was a bad year for the dollar. 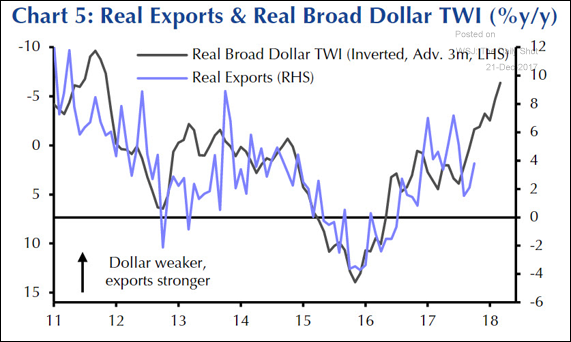 Will the US currency weakness drive up export growth? 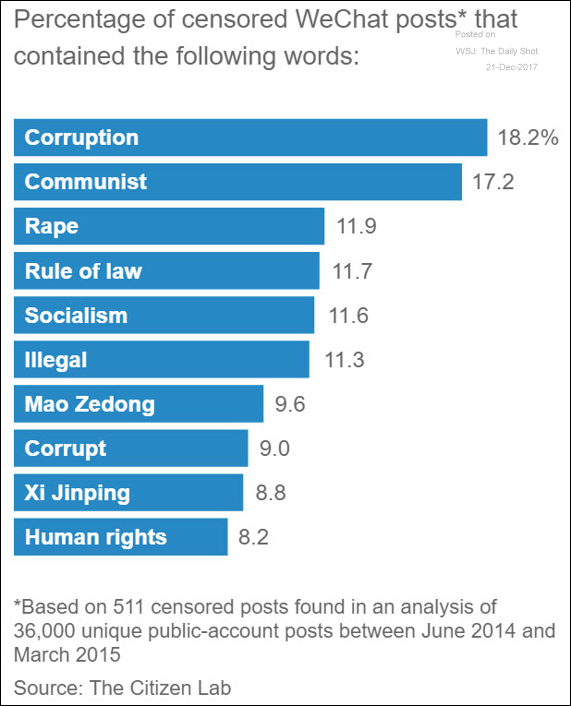 China: Beijing is ramping up social media censorship. 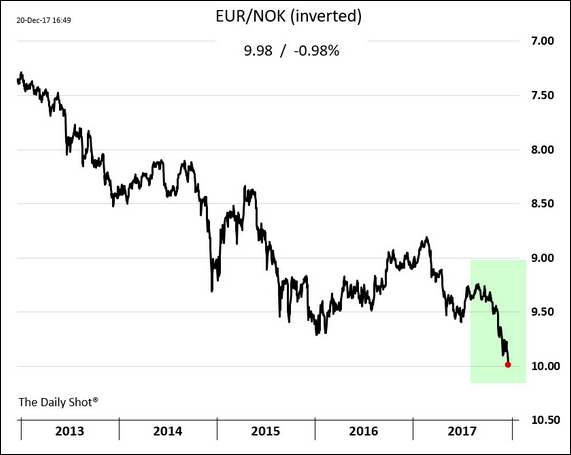 Europe: The Norwegian krone hit a multi-year low despite higher oil prices (shown against the euro below). 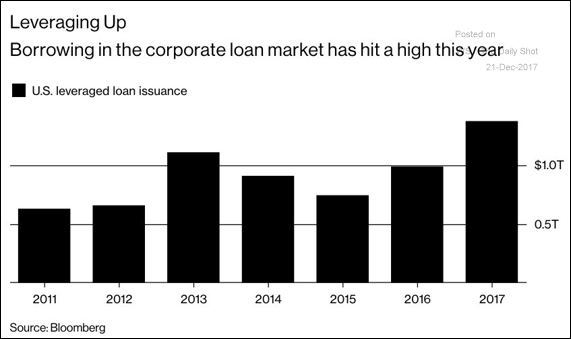 Credit: US leveraged loan issuance is officially at a record high in 2017. 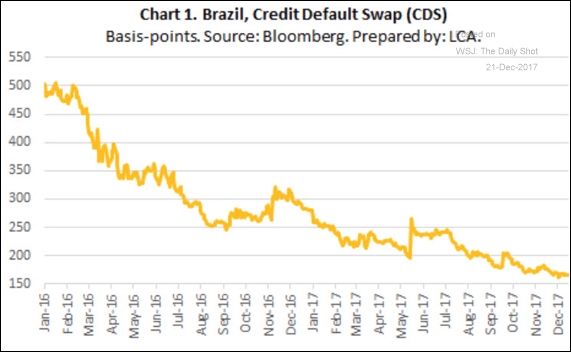 Emerging Markets: Brazil’s sovereign credit default swap spread continues to tighten. 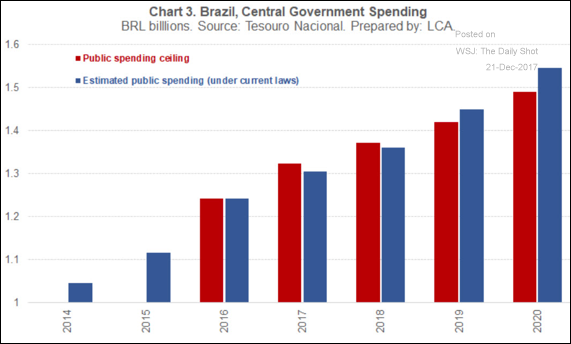 Will excessive government spending derail the ongoing credit improvements? 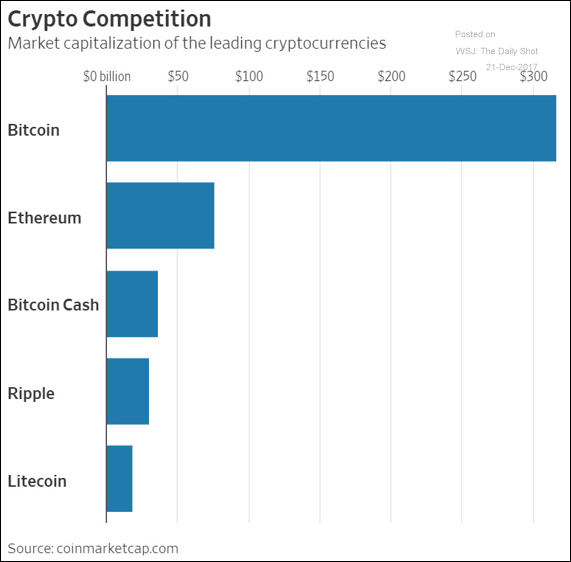 Bitcoin: This chart shows the cryptocurrencies with the highest market cap. 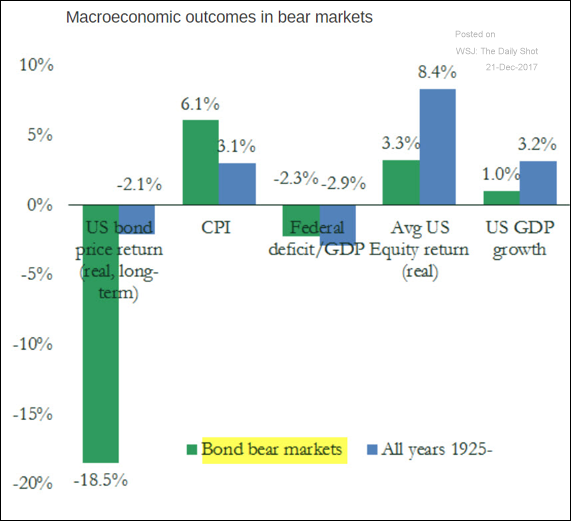 Rates: What happens to US economic indicators during a bond bear market? 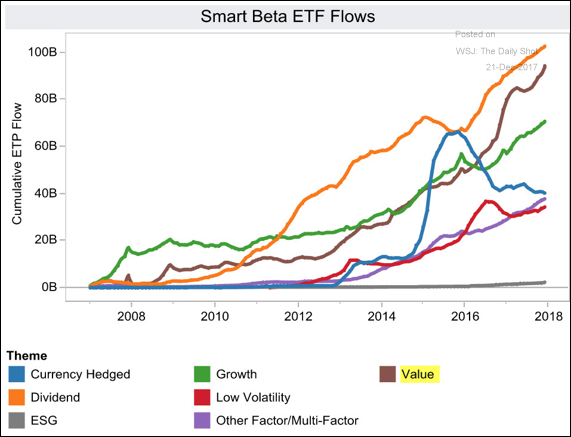 Equity Markets: This chart shows the flows into smart beta ETFs. 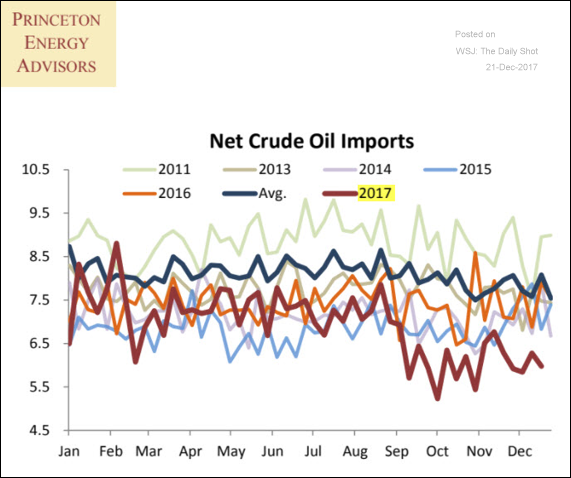 Energy Markets: The net US crude oil imports are consistently below levels from the previous years (US crude exports remain elevated since Harvey). 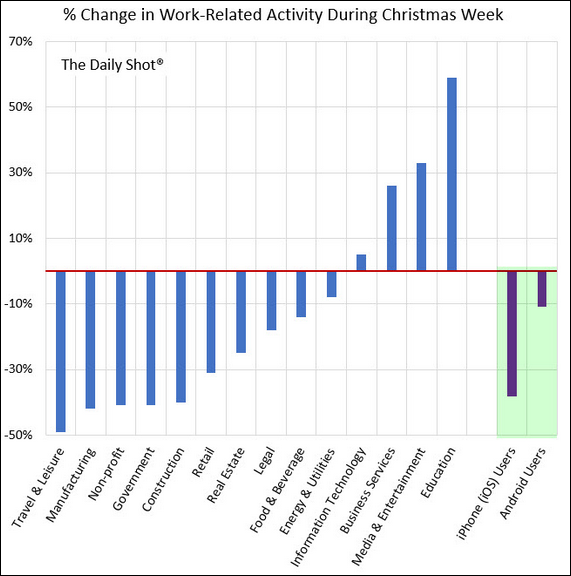 Food for Thought: Who is working during the Christmas week? On that note…we aren’t either. There will be no Daily Shot Brief from December 25th to January 1st.